If you want to help people, can keep calm in intense situations, and are ready for a challenge, join the Firefighting/Emergency Medical Rescue Academy. 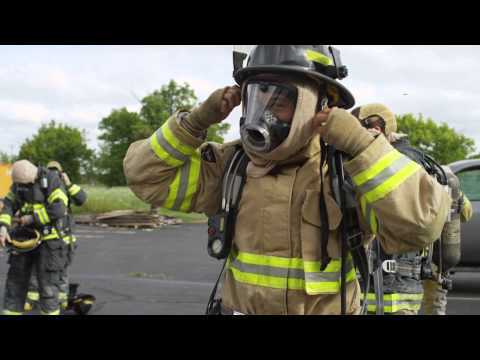 You can earn both an Emergency Medical Technician (EMT-B) certification, a professional fire fighter certification, plus train in the same settings and situations as local fire fighters. The Great Oaks Fire Academy offers 667 hours of EMS, fire, fire pumper, hazardous materials incidents, and technical rescue from our nationally and internationally recognized faculty. All graduates of this accredited program receive Pro Board certifications and are eligible to take examinations for Ohio FF, Ohio EMT, and National Registry of EMT credentials. For job outlook and wages for Fire & Emergency Medical Rescue Academy visit www.onetonline.org. Attend a mandatory orientation at the Public Safety Services location. For WorkKeys® test information, visit the ACT® website. Call Public Safety Services 513.771.1142. Contact Jim Whitworth, Fire and Safety Services Supervisor whitworj@greatoaks.com or 513.612.5710. Contact Johnny Mason, Coordinator masonj@greatoaks.com or 513-612-5834.